In the silent caves beneath France, young archaeologist Julia Kerrigan unearths an ancient skull-with a hole bored through the forehead. After she reveals her discovery, her mentor is brutally murdered. Deep in the jungles of Southeast Asia, photographer Jake Thurby is offered a mysterious assignment by a beautiful Cambodian lawyer who is investigating finds at the two-thousand-year-old Plain of Jars-finds that shadowy forces want kept secret. From the temples of Angkor Wat and the wild streets of Bangkok to the prehistoric caves in Western Europe, what links Jake's and Julia's discoveries is a strange, demonic woman whose unquenchable thirst for vengeance-and the horrors she seeks to avenge- are truly shocking. Readers have become enthralled by Knox's vivid blend of buccaneering modern adventure, gothic horror, and grand intellectual puzzles. 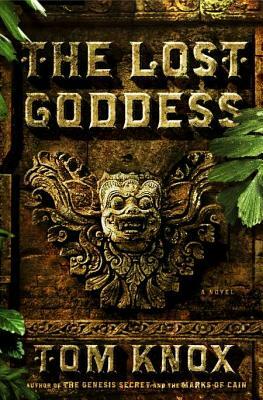 "The Lost Goddess" is his most exciting novel to date.